Fertility Acupuncture & TCM Clinic Chelsea, Battersea. 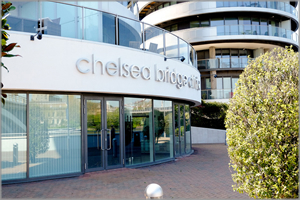 Hong Tao Acupuncture's practitioner, Sarah Clark, practices at the Chelsea Bridge Clinic: a tranquil, welcoming and comfortable clinic which overlooks the River Thames, directly opposite the Lister Hospital, within close proximity to Victoria, Knightbridge and Sloane Square, Battersea and Clapham. There is also plenty of parking available within the building.